Aberdeen University has been named Scottish university of the year and been shortlisted for the UK title. 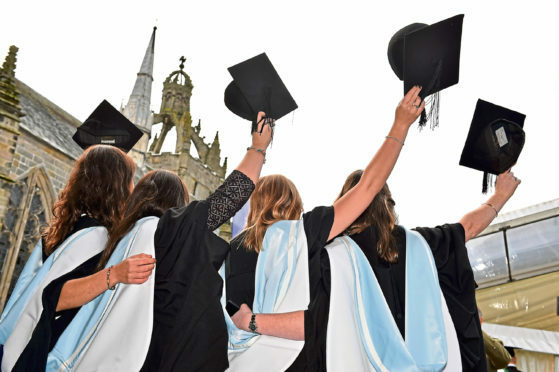 The Sunday Times’ Good University Guide for 2019 has seen Aberdeen climb the table for the third successive year, rising 14 places from 40th to 26th in the UK rankings. Aberdeen scored gains in five of the nine performance indicators used to rank universities in the annual undergraduate guide, and was also one of two Scottish universities in a shortlist of five institutions vying for the overall UK University of the Year award. St Andrews was the other Scottish university shortlisted for the UK-wide title, having consolidated its third place ranking in the league table, recording particularly strong scores on the key measures of teaching excellence and student experience. Professor George Boyne, an Aberdonian and double graduate of University of Aberdeen, who took over last month as principal and vice-chancellor, will be hoping to build on the university’s 14-place rise in this year’s table and has promised to make it “inclusive, interdisciplinary and international in reach and quality”. Alastair McCall, editor of The Sunday Times Good University Guide, said: “Aberdeen’s sharp rise up our league table this year is the biggest of any university in the top 30 and gives it a ranking commensurate to its status as one of the UK’s leading academic institutions. “It was a clear winner of our Scottish University of the Year award and earned a shortlisting for the UK University of the Year title off the back of improved performances in most of the metrics used in our tables. “Aberdeen selects some of the most highly-qualified school leavers, who go on to achieve excellent degrees and become highly sought after in graduate employment market. No wonder students speak of the university so highly. St Andrews ranks third in the UK for the third successive year and is comfortably the top-ranked university in Scotland in the new table. Of the other major Scottish universities, Glasgow ranked 17th, Dundee 27th, Edinburgh 28th and Robert Gordon 96th.